The Grand Canyon is a majestic place and if you have never visited before then now you can, by just a click of your mouse. Google Maps launched a panoramic imagery of one of the world’s most spectacular national monuments. 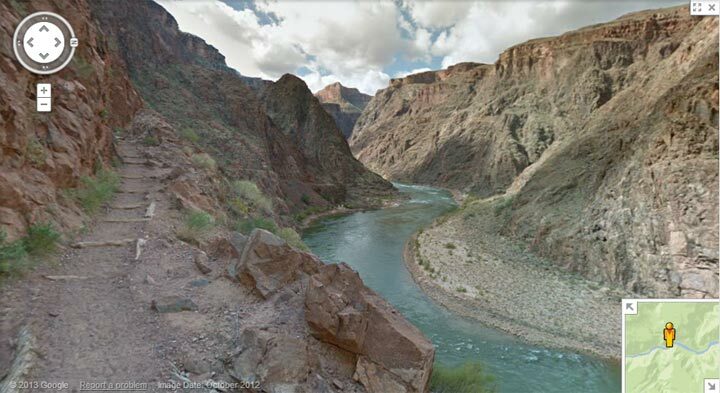 Whether you are planning a hike or just wondering the history behind the canyon, head over to Google Maps and explore with the beautiful, interactive images that cover more than 75 miles of trails and surrounding roads, making our map of this area even more comprehensive, accurate and easy to use than ever before. Read: Grand Canyon Skywalk is a sham! Some of the sights include Bright Angel Trail, the Colorado River, South Kaibab Trail and the Meteor Crater, the experience will amaze you. The imagery collection was made possible with the Trekker backpack cameras by strapping on the Android-operated 40-pound backpacks carrying the 15-lens camera system and winding along the rocky terrain on foot. Together, more than 9,500 panoramas of this masterpiece of nature are now available on Google Maps.